The 3' x 5' USA Flag is made from lightweight polyester material. 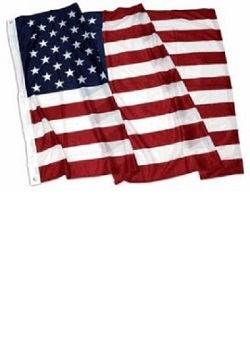 The Polyester flag is one solid piece of fabric with the flag image printed and comes with brass grommets. Great for use outdoors or indoor.